Drives and motors are integral business assets in operational technology (OT), and both have a simple job: to produce reliable speed and torque. In the case of a centrifugal pump, that job becomes even simpler. Since pumps are relatively simple applications, their drives and motors normally do not have many of the same design and operational considerations as more complicated applications. However, pumps cannot afford to fail, and that means the pump, drive and motor system has to be selected, designed and operated around the goal of maximum availability and uptime. Most plants have adopted preventative maintenance and condition monitoring as parts of their asset management strategies for rotating equipment. 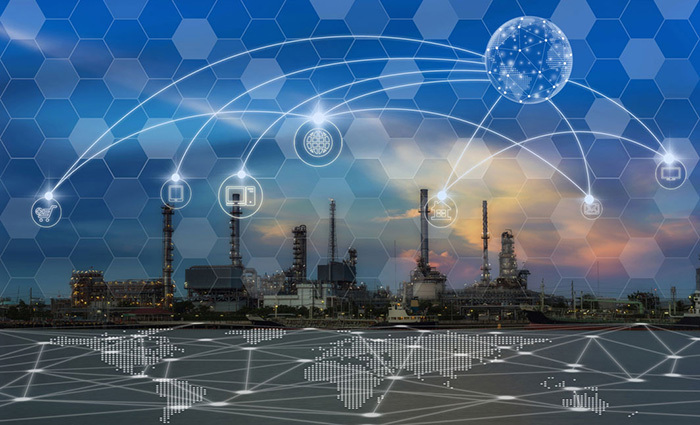 New developments in digitalization and the Industrial Internet of Things (IIoT) have enabled improved continuous monitoring of pumps and motors, and it is now more affordable than ever to do so. Innovations in sensor technology and less-expensive sensing devices have made it economically feasible to retrofit and monitor rotating equipment. New digital technologies like big data analytics have made it possible to derive greater value from the data from those sensors. Data analytics can help optimize asset operation and efficiency and can predict many failures in advance. These advances have been true game-changers in asset and reliability management for rotating equipment. For large, critical pump assets, medium voltage variable frequency drives (VFDs) are often used to yield huge cost savings via reduced energy consumption. However, VFDs have a drawback: the increased chance of system failure. Analysis of typical system component mean time between failure (MTBF) indicates that typical medium voltage VFDs experiences—on average—one or more unexpected failures over the life of the equipment of 20 years or more. These failures can often require a longer mean time to repair or restore (MTTR) than desired, leading to days of unplanned downtime. Even a 99.9 percent-plus available machine can carry large cost penalties from failures that may occur. This does not imply that using a VFD is a bad idea, since the benefits far outweigh the costs. However, it does indicate just how expensive downtime actually is for large, critical pump systems. Plants must contend with another problem when using and maintaining VFDs. VFDs are often seen by plant personnel as a “black box” of sorts. Unlike the other rotating components in the pump system, the sophisticated power electronics and controls in the VFD are not easily serviceable by normal technicians and can be intimidating. Training is important but will likely not produce the necessary skill set to address machine failures. In addition, if the VFD does operate reliably for extended periods of time, the plant maintenance team can lose familiarity with the equipment and become less prepared to handle an issue when it does occur. Today’s maintenance and asset management programs have a new tool that can help improve asset availability: drive train analytics. Drive train analytics integrates condition monitoring, advanced data analytics, machine learning and human expertise to enable improved reliability, availability, and performance of VFD and motor assets. Drive train analytics works by pushing a highly secured stream of operational data to the cloud, where the data is analyzed 24/7 and compared against acceptable operating envelopes developed from the asset itself and similar assets. into operation quickly—provided the plant can quickly diagnose and remediate the issue. One particularly powerful feature of drive train analytics for VFDs is the capability to dramatically improve MTTR via improvement of diagnostics and troubleshooting. Coupled with a rapid response service model, remote monitoring can assist plants in remedying unplanned events with immediate expert support. In one particular case, a service provider was able to help a large electric utility customer work through two separate issues and restore a VFD to operation using drive train analytics. The remote monitoring service allowed an after-hours support expert to remotely download event and fault logs from the machine and begin diagnosis and troubleshooting immediately. Collaborating with the plant, the expert was able to help restore the equipment to operation in under 75 minutes. Compared to an estimated normal time to repair or restore for this scenario, which was estimated at several hours minimum, this resulted in a real, quantifiable savings for the customer of more than $120,000 in this single instance. This type of payback is not uncommon, especially for critical assets like large pumps. Coupled with predictive analytics capabilities and the ability to defend against failures before they occur, the improved diagnostics and troubleshooting capabilities offered by drive train analytics can provide immense value to plants. It is not unusual for plants to justify the service cost with the prospect of saving less than one hour per year of unplanned downtime. Although drive train analytics is relatively new, it is estimated that plants can realize up to a 20 percent reduction in drive train total cost of ownership (TCO) using this service, thereby proving it is an indispensable asset management strategy for large VFDs. As plants are asked to “do more with less” each year, new digital technologies like drive train analytics will need to play a larger role in enhancing plant productivity and, ultimately, competitive advantage in the marketplace. Jason Hoover is the director of digitalization for Siemens Large Drives. For more information, visit www.siemens.com.